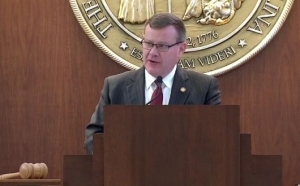 In case you missed it yesterday, the Washington, DC-based Campaign for Accountability has filed a new complaint calling on state officials to investigate whether North Carolina House Speaker Tim Moore acted improperly to seek preferential treatment from state regulators. Today, Campaign for Accountability (“CfA”), a nonprofit watchdog group focused on public accountability, again called on North Carolina officials to investigate whether Tim Moore, Speaker of the North Carolina General Assembly, improperly used his position to seek preferential treatment from the North Carolina Department of Environmental Quality (“DEQ”) regarding a property owned by his company, Southeast Land Holdings, LLC (“Southeast”). Additionally, CfA called for an investigation into whether DEQ officials acted appropriately when they issued a Conditional No Further Action (“NFA”) letter to Speaker Moore’s company in September 2016. Speaker Moore was the vice president and part owner of Southeast Land Holdings, LLC. In 2013, Southeast purchased a former Townsend poultry plant in Siler City, North Carolina. The property contained two underground storage tanks (UST) that were used to hold gasoline and diesel fuel and are subject to DEQ regulations. Click here to read the new complaint. Click here to read the previous complaint.